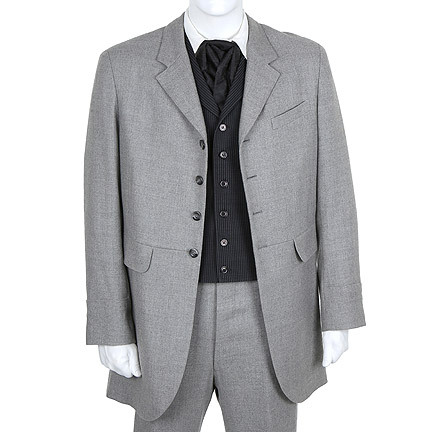 This costume was worn by the character Dr. King Shultz portrayed by actor Christopher Waltz in the Academy Award Winning film "Django Unchained", starring Jamie Foxx. 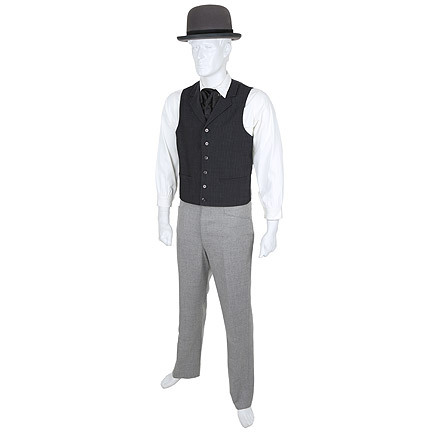 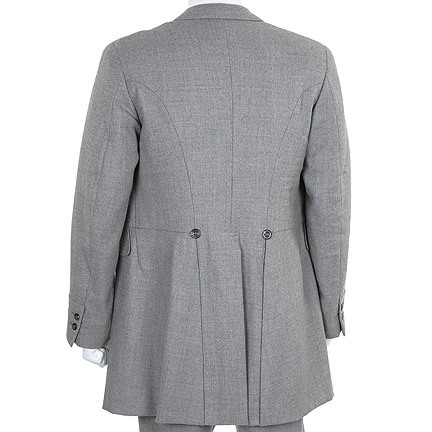 This custom made costume consists of a two piece grey suit, black self stripe vest, white cotton herringbone print dress shirt, black silk tie, and grey Stetson Bowler with black satin hat band. 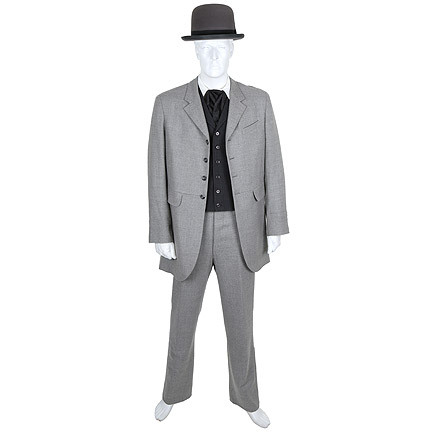 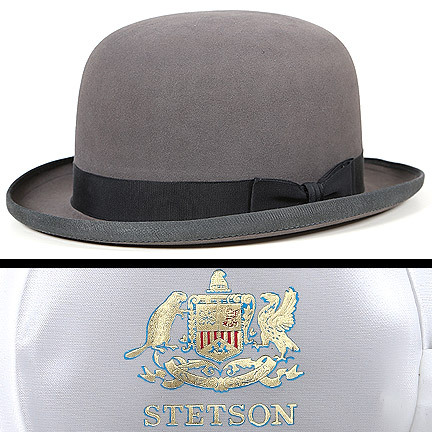 The hatband and silk tie were purchased for the production but not worn on screen. 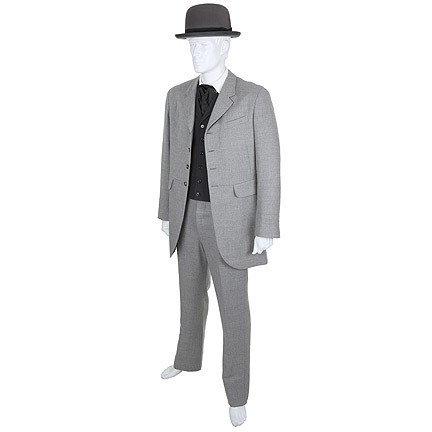 Mr. Shultz wears this suit, shirt, and bowler throughout the entire film with a few different style dress shirts and neckties. 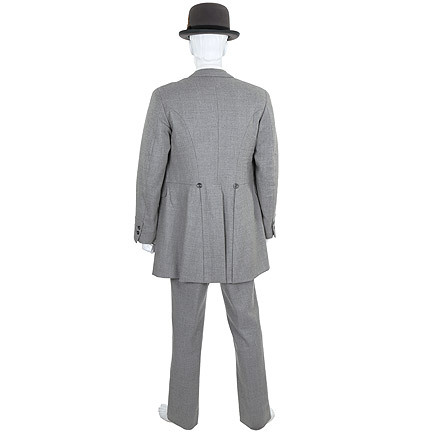 This costume in its entirety is worn in the scene where Mr. Shcultz and Django are in Mississippi devising a plan to free Django’s wife from the Candy Land Plantation. 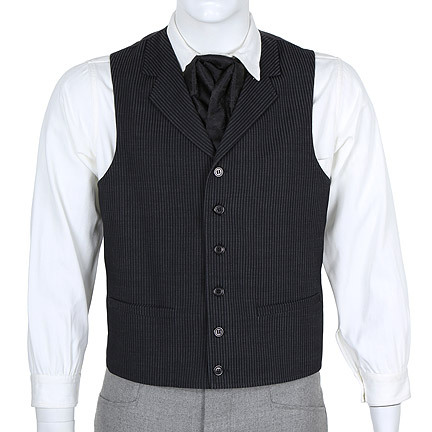 The garment is in excellent screen worn condition and is accompanied by a letter of authenticity from the costume house that provided them for use on the production. 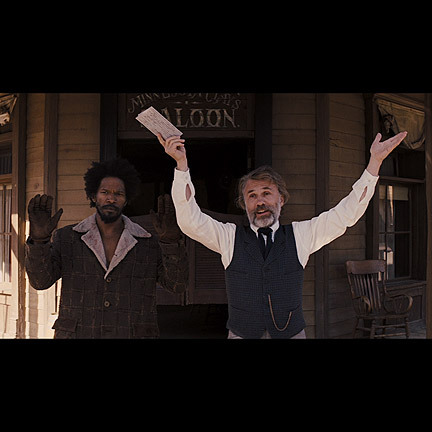 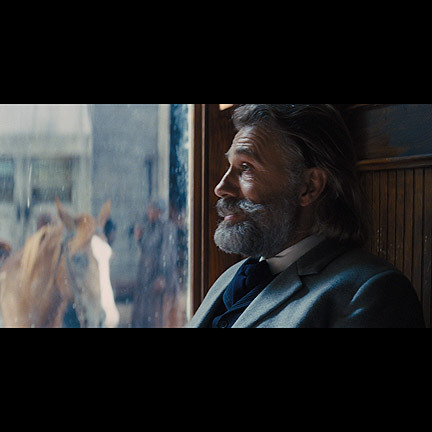 Django Unchained received four Academy Award nominations for Best Picture, Cinematography, Best Sound Edidting, Best Supporting Actor Christopher Waltz, and Best Original Screen Play Quinton Tarantino. 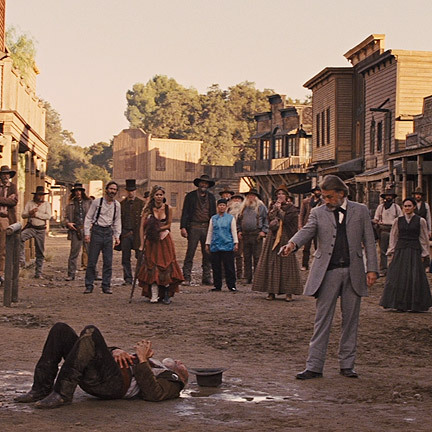 The film grossed 425 million worldwide, making the film Tarantino’s highest grossing feature film to date.